Here are some activities Pumpkin 2 has been doing. He’s now 15 months. This is from 14 months. It’s a large to small circle puzzle. 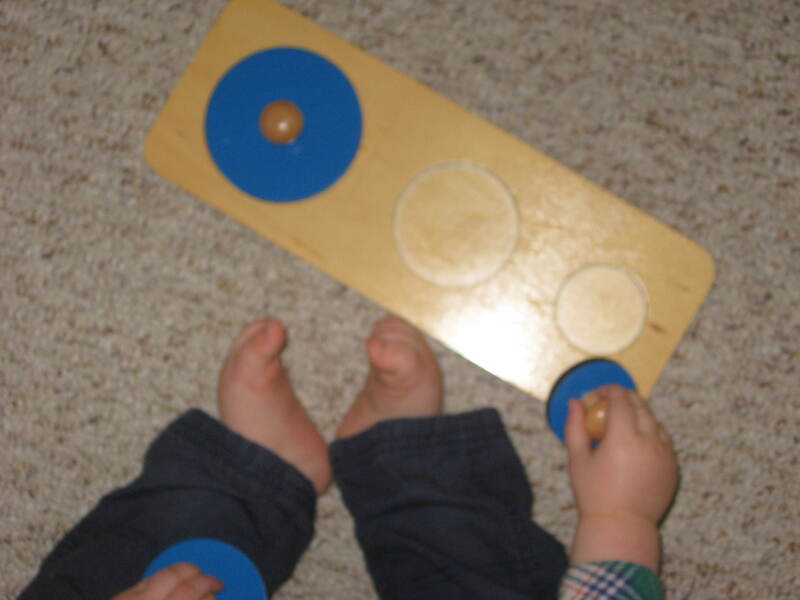 He also has a 3 shape (square, circle, triangle) puzzle. They’re purchased from here. These are also from 14 months, they’re dowels and rings. Pumpkin 2 really loved them. I got them out a little late due to being sick so he was already able to do them with ease. Also purchased from the above link. 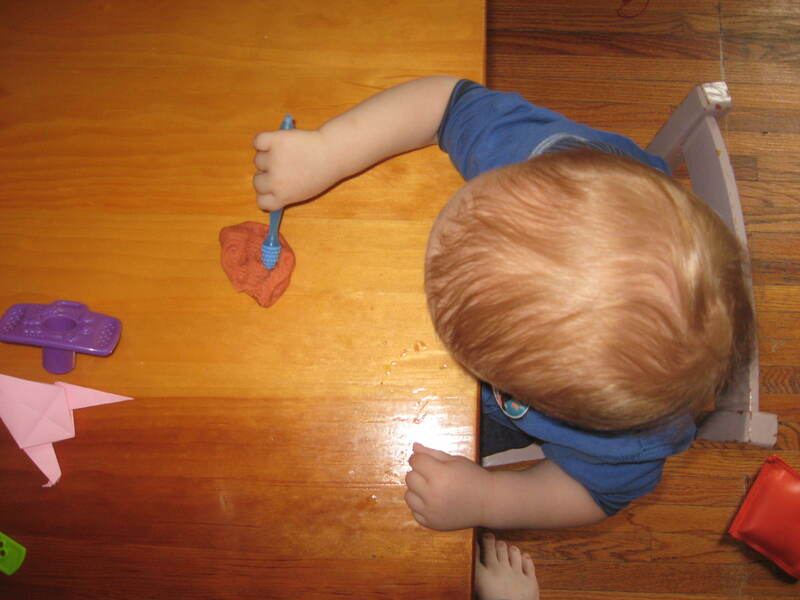 This is Pumpkin 2’s first experience with playdough. It’s home made playdough from the recipe on my blog here. We scented it with cinnamon and cloves. 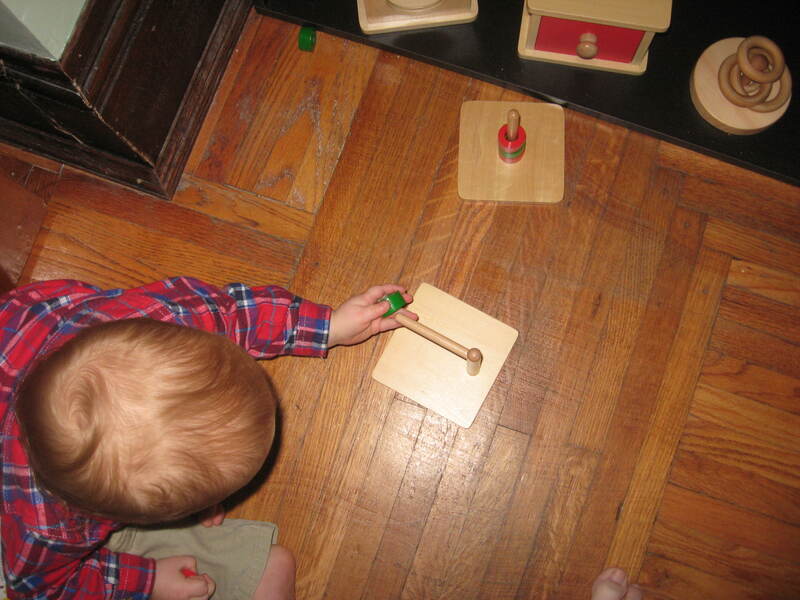 He’s poking it with a baby gum massager which has bumps on it that make a pattern in the dough. He also ate some of it too lol. This is Pumpkin 2’s favourite activity (other than toy cars, he plays with toy cars most of the day saying “voooo voooo voooo”). He gets this activity out several times a day. The seasoning shaker and mini dowels were both purchased at the dollar store. He had just finished dinner so you can hear him burping lol. 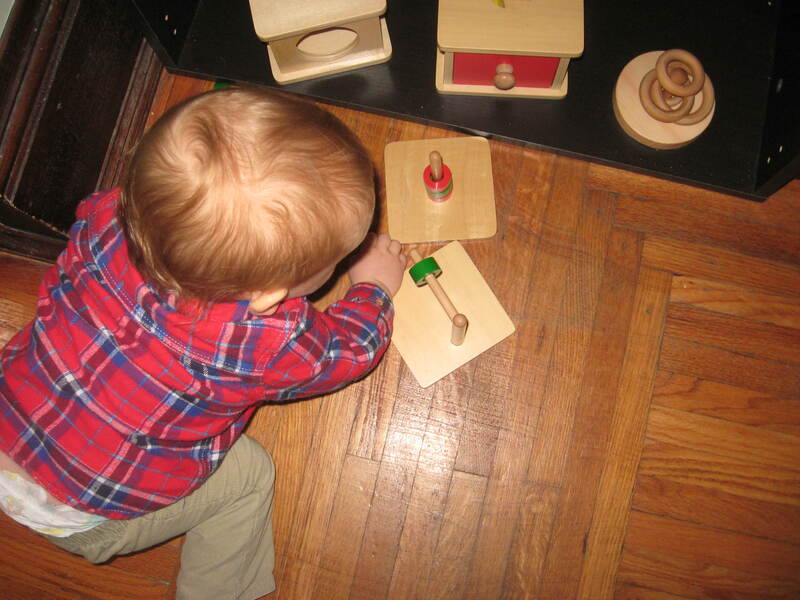 His other favourite activity is to take all the pieces from the division puzzles and blocks and put them in the hole of the rolled up carpets or put a piece in some random place that takes me forever to find. 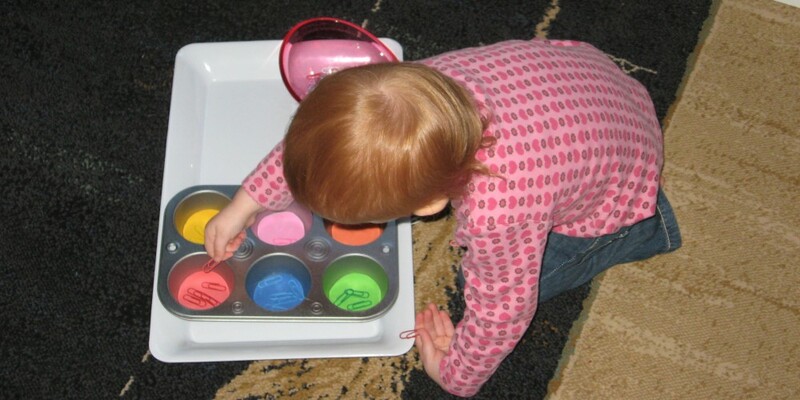 This entry was posted in Babies, Fine Motor Skills, Toddlers, Uncategorized and tagged DIY montessori materials, Montessori, Montessori babies, montessori materials for toddlers, toddler activities, toddler montessori by chandni3. Bookmark the permalink.